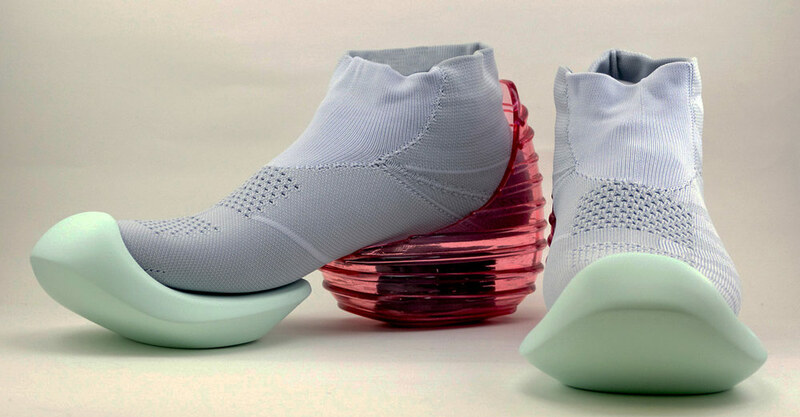 Mikio Sakabe’s 3D printed shoes announce the future of fashion. 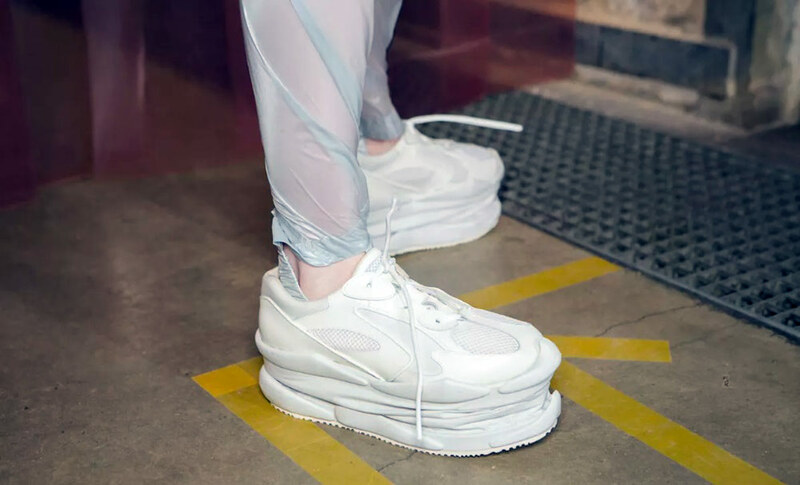 As detailed on a previous article here at WTVOX, the fashion-tech landscape has finally passed the gimmick stage. 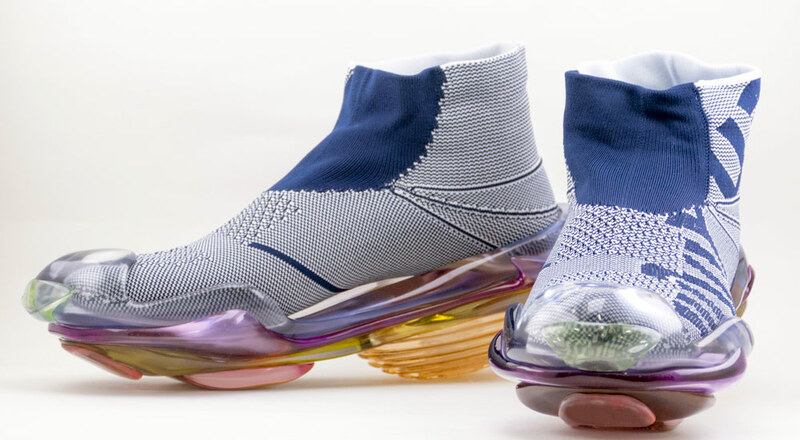 The initial desire to merge the two scenes is no longer unidirectional, from tech to fashion as fashion shows increasing interest in innovative tech and smart materials. 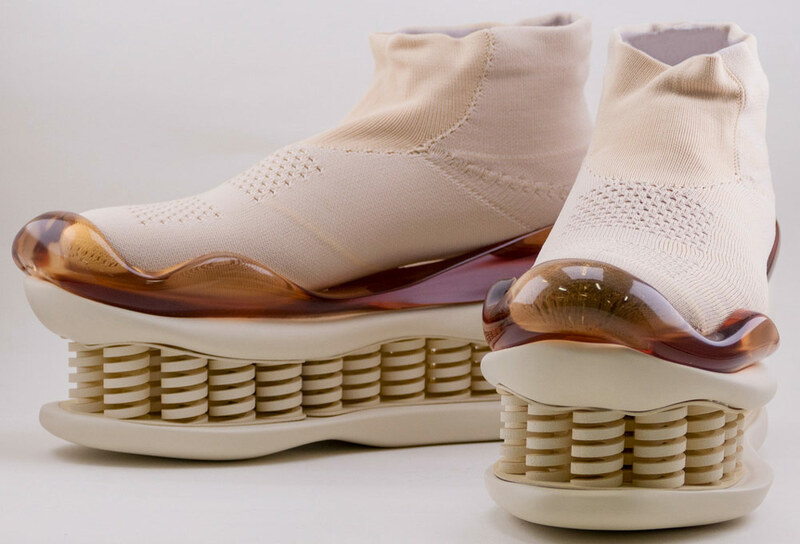 That’s precisely the case with Mikio Sakabe, a Japanese fashion designer interested in 3D Printing and innovative, smart materials. 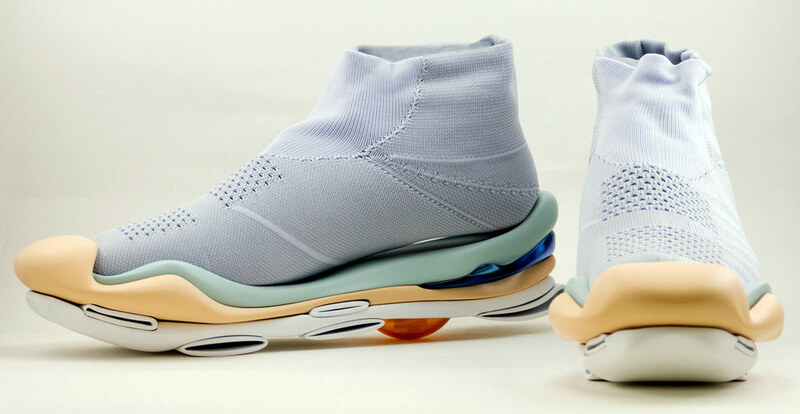 Inspired by his residency in Tokyo, one of the most technologically advanced cities of the world, Sakabe launched a new fashion tech label called Giddy Up. 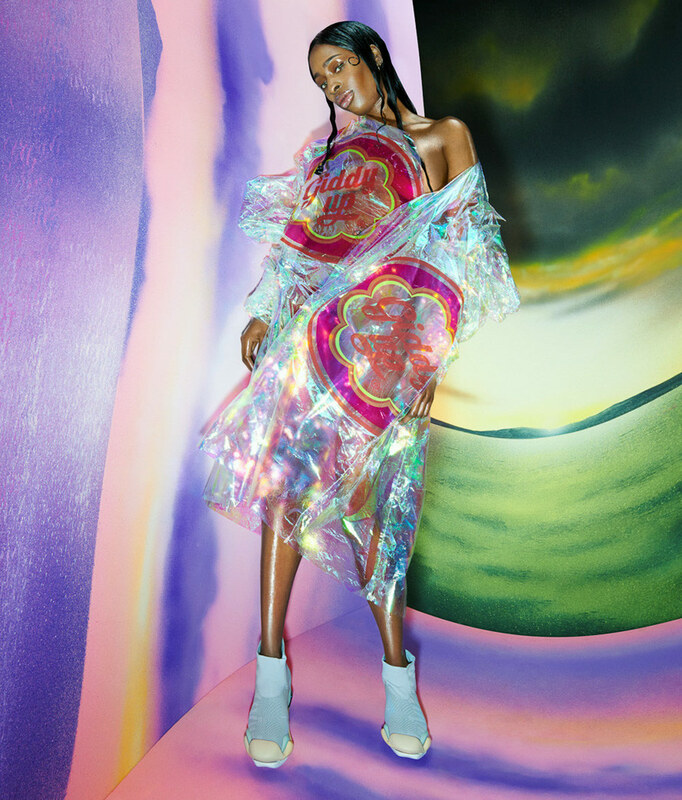 Sakabe is recognised for his unorthodox fashion creations, as his first fashion collection which hit Paris Fashion Week back in 2007 drew inspiration from architecture, three-dimensional spaces and urban buildings. 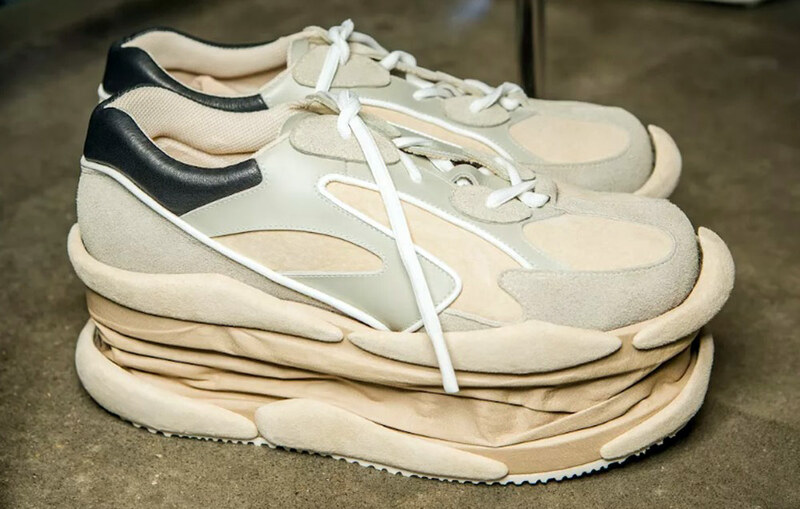 For his latest Giddy Up collection, the designer combines his passion for architecture with advanced 3D printing. 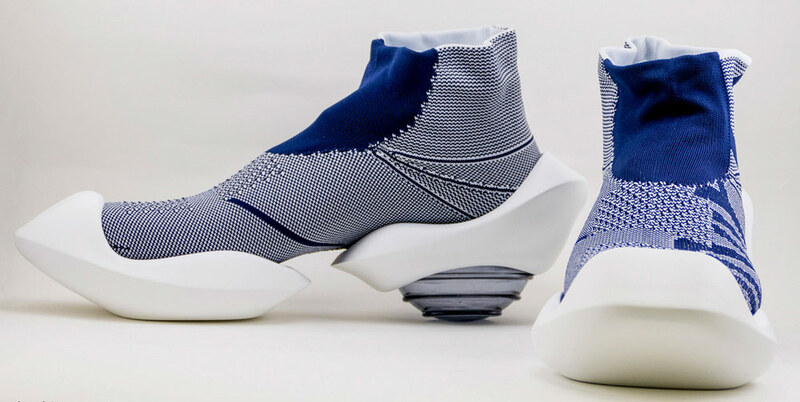 Mikio Sakabe’s 3D printed shoes are created from innovative materials, with innovative tech, and intended to be the most recognisable sneakers you can buy right now. 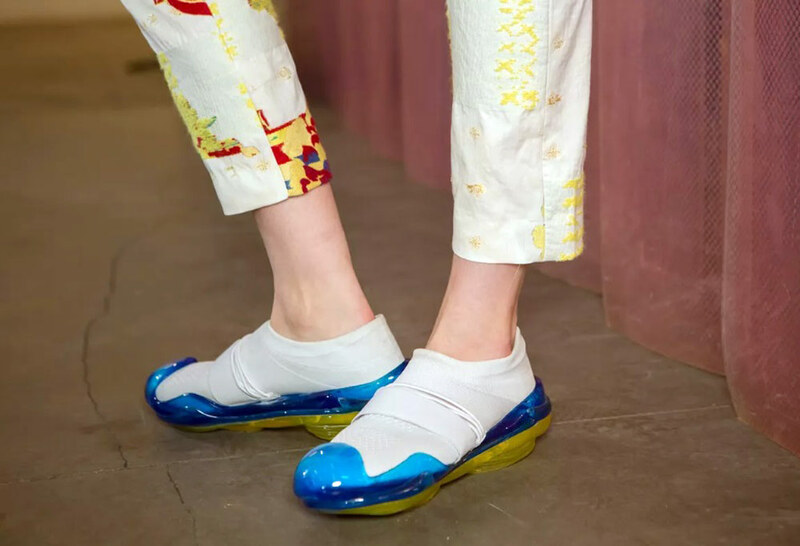 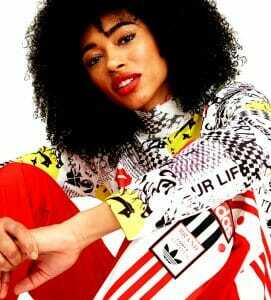 Sakabe’s latest collection was inspired by a “vision of a new human” who is living in the future. 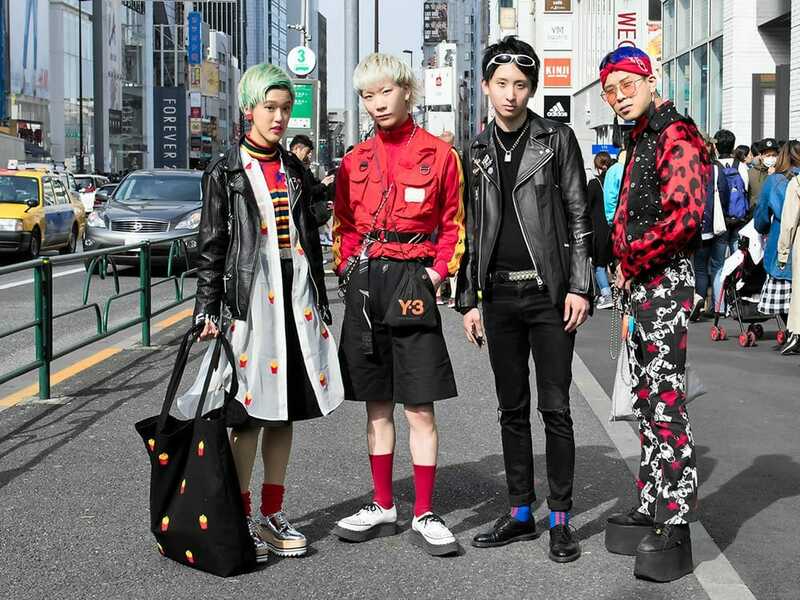 To create new, the industry should come up with fresh ideas and innovative materials, not just designs”, said the Japanese designer detailing on the reason behind his innovative fashion label, Giddy Up. 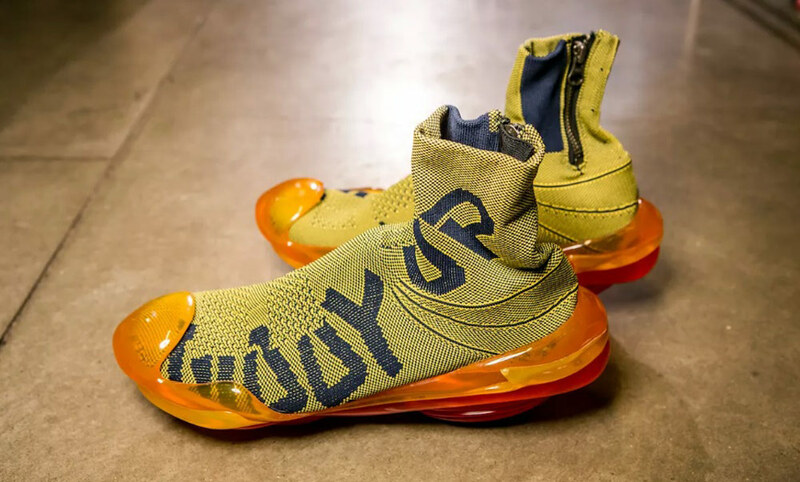 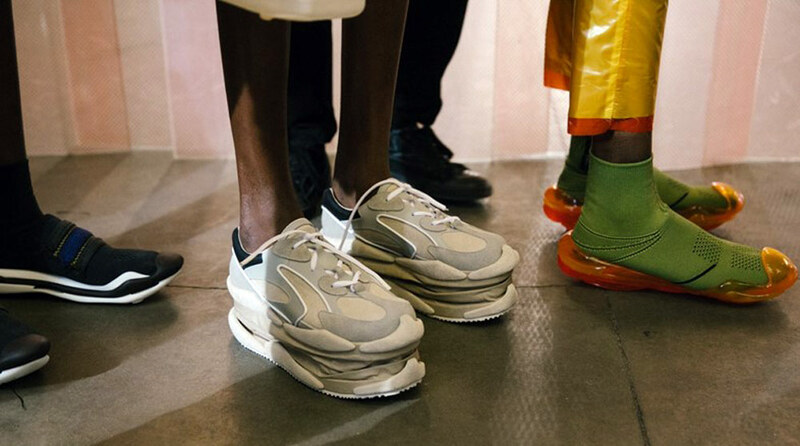 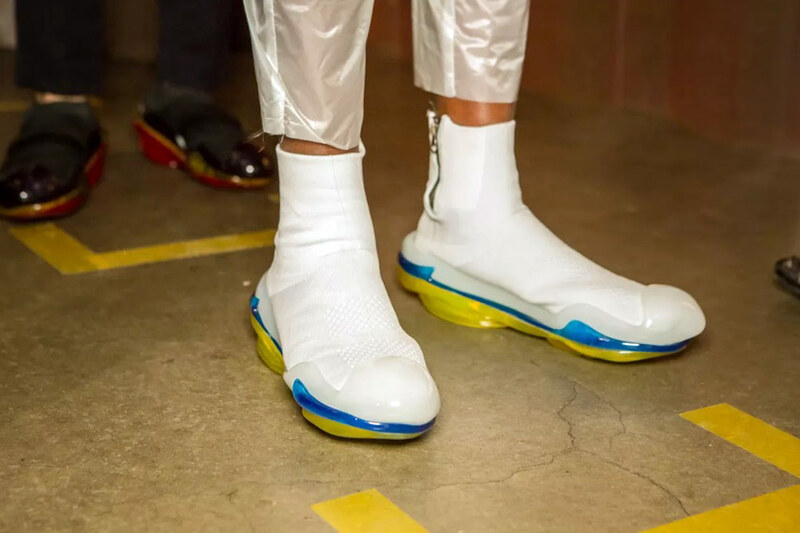 Giddy Up’s sneakers will be the primary offering of this season, along with the one-off line of innovative garments designed in the same vein. 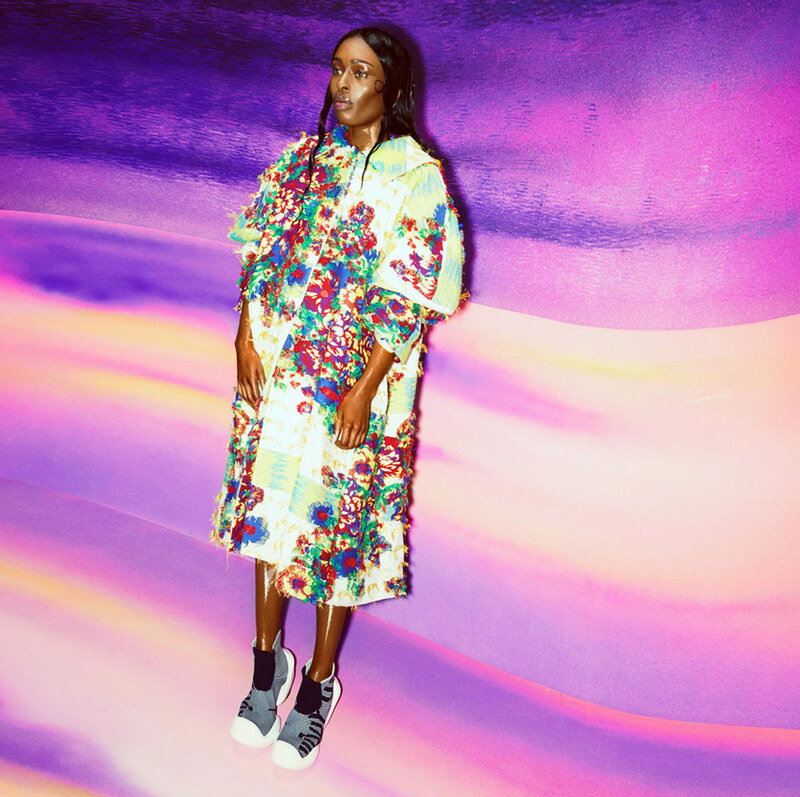 Click here for Giddy Up’s 2019 Spring Ready-to-Wear Collection as showcased in Paris last week.